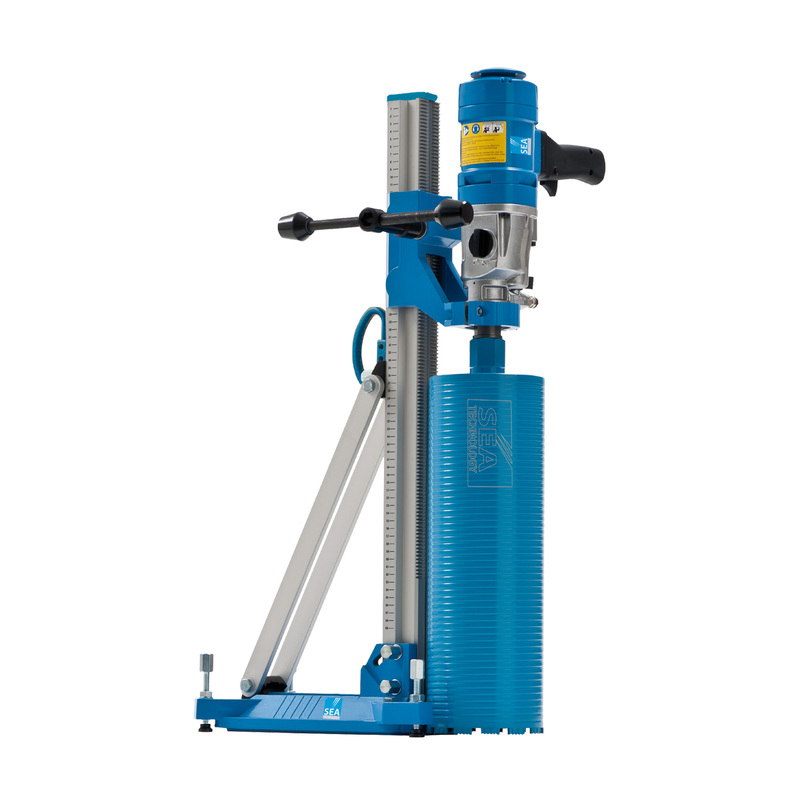 The SEADRILL 200 is the combination of SEADRILL 2000A and COLONNA 200, it is a drilling system with maximum capacity of up to 200 mm diameter. It stands apart for its versatility thanks to its favorable weight / power ratio and also to the possibility to be fixed both with its appropriate anchor bolt system and also by means of a vacuum system for which it is already arranged/set for. It’s also slantable up to 45°.